Au revoir MIPIM 2018, hello hard work! - Pygott & Crone - Houses. Homes. Harmony. What a week! I have just returned from MIPIM - the world’s largest property and construction fair in Cannes - and I am pleased to report it was one busy but successful event. 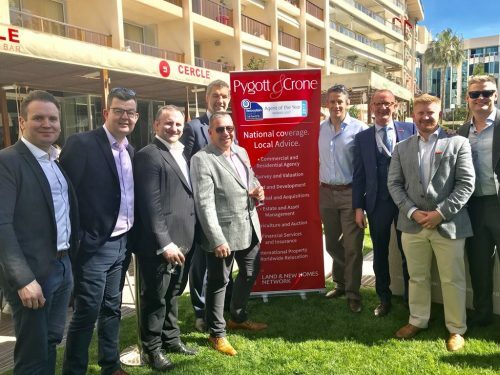 Pygott & Crone were representing Team Lincolnshire at a multitude of networking events, panels and discussions, making the four days in Cannes busy and very rewarding. It was a positive week for all involved including Pygott & Crone, Dynamic Lincoln, Invest Gainsborough and Land and New Homes Network. This year it was especially exciting to be a part of Team Lincolnshire, as the region took a variety of investment schemes to present for the first time at MIPIM in partnership with the Greater Lincolnshire LEP including three Food Enterprise Zones(FEZ). We had a successful time at MIPIM as there were a number of investors looking to buy both commercial and residential properties in Lincolnshire and Nottingham. Off the back of this, we now have eight appointments lined up with investors in the next ten days alone! Leafbridge, a 44-acre commercial development in North Hykeham was presented for the first time at MIPIM and received great interest from UK wide investors. We are solely marketing Leafbridge for Stirlin Developments and we’re thrilled it was so well received at such a high-profile event. Pygott & Crone secured two residential deals while in France and we’re planning to employ two new surveyors to help manage and grow the work we secured at this year’s event. Additionally, we secured more public sector work in the South East and South West which is great news, and we also received interested from a hotel operator in a scheme we are working on in Norfolk. So all in all, a fantastic week for us regionally and nationally. Invest Gainsborough, one of the 20 Housing Zones outside London designed to accelerate housing developments, received great interest from investors alongside the Land & New Homes Network – an innovative way of unlocking potential development land – which also attracted a lot of attention from investors. Finally, as the chairman of Dynamic Lincoln, a property and construction networking group, I was proud to be representing such a successful and ambitious group of people. Dynamic Lincoln had a strong presence during the week and received a lot of interest from potential new members in the region. This was definitely the most successful MIPIM to date for not only Pygott & Crone but also Team Lincolnshire. I’m thrilled to have been a part of it for the 22nd year running!